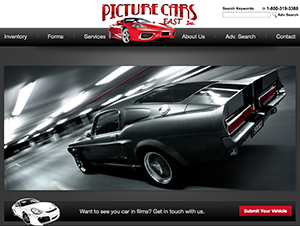 We're excited to host this shiny website we've custom build for Pixx Cars. Not only did we offer copywritting, be we also resized and edited the images as well. Since this website is for renting these cars we've build an easy-to-use tool for custom posting as well as setting up payment plans through Authorize.net. These cars are just as slick as the web design. Take a look! RPMumby now has a Blog! 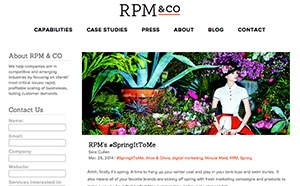 RPM&Co now has a new blog with a chic & clean layout mainly focusing on imagery for it's post. The new blog contains posts that are fun and inviting to it's followers. Leaving it easy to share and comment and bring the RPMumby community together. ~ Comments Off on RPMumby now has a Blog! 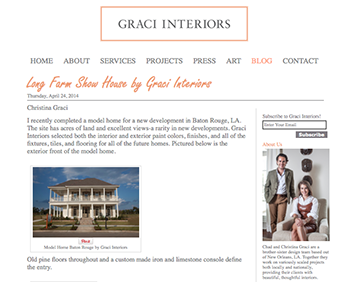 Graci Interiors has a great redesigned blog that's easy to read and share for all of their followers through our social media integration. We created a wonderful Pinterest plugin the showcasing the wonderful interior designs of their most recent projects. Keeping their followers up to date on their latest endeavors. Take a look at the new blog, share, and enjoy! 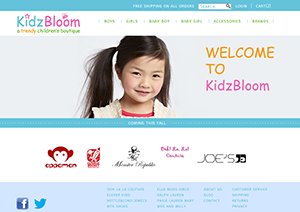 Kidzbloom is a vibrant children's apparel website that offers a wide variety of clothes that kids want. We provide hosting for this colorful & fun website, making sure everything in it's entirety is as simple to use as it is exciting to shop for that right article for clothing for kids. Check out the remodeled site for Signature Car Collection. The new red navigation makes it more aesthetically bleeding to guide through. The new site also includes a new rental form that makes it easier to send your information to Signature Car Collections, giving them the opportunity to get back to you faster. 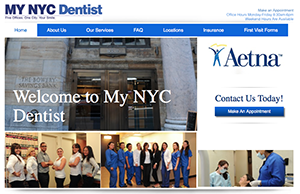 Check out the redesign for My NYC Dentist. This newly sophisticated design helps build the bridge between patient and dentist. Along with this custom designs WordPress site, we've created a Third Party Appointment Integration to help it easier for patients to communicate. We've also created galleries showcasing dental services and SEO enhanced service pages. 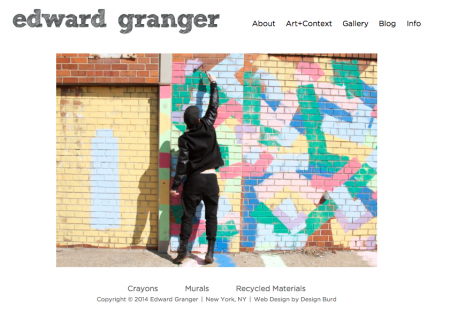 Be sure to check out the new site, and if you're in New York City, make yourself an appointment! We're all about supporting the arts. Eddie Granger is one of our favorite artists and we really appreciate that we got to design, host, and maintain his website for him. We've placed galleries for his different works. They are simple to navigate through to see his different styles. We've also made the contact page for easy to find for anyone who wants to contact him. We know the importance of keeping people connected through a common interest, and that's what we did for Drop Global. This customized WordPress website not only includes an edge-cutting MapBox with Custom Posting System, but also lets users set up their own accounts, profiles, and blog posts. 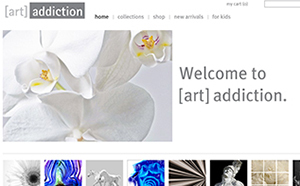 Along with social media integration and custom built online store. Check it out! 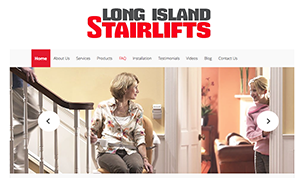 Along with logo and brand design for Long Island Stairlifts, we've created a customized WordPress design that's easy to use for the demographic of Long Island Stairlifts. With great integrations of photo galleries, social media accounts, and videos, consumers will be sure to find there way around the simple a clean layout. Since Long Island Stairlifts sells a number of different brands of stairlifts, we've even included quote forms & SEO enhanced service pages.